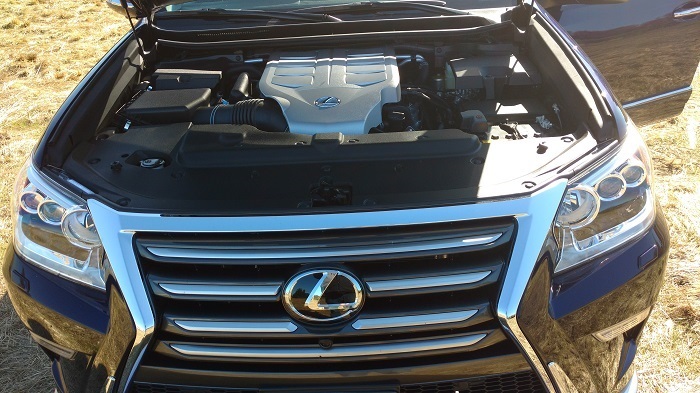 As V8 engine power becomes as rare as full benefit long-term high paying jobs, Lexus holds out for yet another year with the 3-row body on frame Lexus GX 460, a rare V8 powered mega SUV drive and ride experience. Is there a place for this well-refined beast on the streets of America? There’s simply something unique about a V8 powered SUV that can’t be replaced with a turbocharged low displacement engine regardless of horsepower and torque. Lexus GX just happens to be one of the finest full-size SUVs running the road today, albeit widely panned by the press. Spending a week in the driver’s seat of the big, in your face, Lexus GX 460 SUV, was a treat for this gearhead. Although I’ve long embraced the evolving world of auto-electric-hybridization, like many North Americans, I learned to drive behind the wheel of a rather large, obnoxious, gas guzzling, and not so safe, V8 powered station wagon. 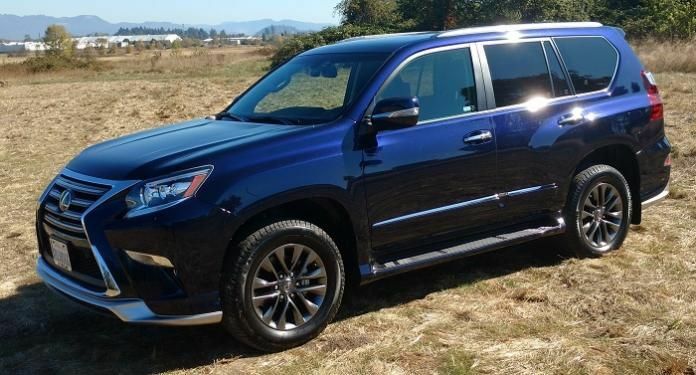 While Lexus GX, in my case, a very low mileage 2017 model, is a far cry from the station wagons and vans of last century, it is very large, V8 powered, and as road comfortable as your favorite easy chair on hydraulically dampened, air suspended, Teflon rollers. Wish to go hybrid, check out this Toyota 3 row. For me, an automotive journalist that primarily covers the ever-evolving world of auto-electrification, to step back into the day of mid-displacement V8 gasoline powered, 6-speed automatic torque transferred rear-wheel drive, is somewhat of a guilty pleasure. Toyota’s luxury division Lexus does produce several premium hybrid crossovers, GX 460 is not one of them. In effect, much like the Toyota Tundra, or in the case of a full-size SUV, Chevrolet Tahoe, Suburban, etc, Lexus GX 460 utilizes a truck on frame auto-architecture, albeit Lexus refined to a fault -- I’ll get back to that in a moment. Apparently, there is a place for this very substantial V8 powered fashion statement on the road today, perhaps in Dubai, or Houston Texas -- you don’t find many used examples sitting around. For me, a rather conservative fuel miser, I found myself attempting to justify the $70,000 + MSRP for a premium SUV locked in a time warp. Lexus could absolutely build a luxury, electrified, high torque output, full size, 3-row SUV, they chose not to, for reasons known only to the powers to be. However, GX sales are up in 2017, with an increase of 47.1% for September, in comparison to September 2016. It would appear that the V8 powered SUV is not dead in the U.S... Much like your uncle Ned when dressing to the nines for a night on the town, Lexus GX 460 looks awesome cruising the town. With well-placed safety and interior accent lighting in full play, our test rides’ black leather on dark blue tight weave carpet transported 6 adults in Limo-like comfort and safety. Near blackout side, windows framed the cityscape as concert quality music filtered through the 3-zone climate controlled, cushy interior confines. The hush of the smoothest running cylinder managed V8 engine in the industry easily motivated this surprisingly nimble 3-row through the busy traffic streets of Los Angeles -- as our 3-drive mode 6-speed automatic transmission transferred torque seamlessly through a rather good full-time all-wheel-drive suspension, softened by rear air, and active dampening. Sure, Lexus GX can venture off-road, but she’s a bit heavy, and deserves more than dirty! Volvo has a heavy hitting premium hybrid 3 row SUV, it's pricey. Here’s the thing, getting back to those old-school V8 vans, station wagons, and SUVs.. In was not uncommon last century for the average V8 or V6 powered car or light truck to average 12 to 14 MPG.. While not a gas miser by any stretch, during our week in the seat, driving under variable weather and road conditions, Lexus GX in it’s full optioned V8 glory, averaged 16.9 MPG, with a true 22 MPG realized in freeway driving at speeds averaging 75 MPH. That is astonishingly good fuel efficiency for a no holds barred, in your face, full size luxury 3-row SUV. I find the one-panel moonroof to be a bit antiquated, the second-row seating to be a bit understated in overall size and girth, although it is comfortable. In a world of drop down segmented high-resolution screen rear row entertainment, Lexus opts for a rather small, yet good, seat back mounted viewing monitor. At $70,000+, I’m looking for a bit more theater here. 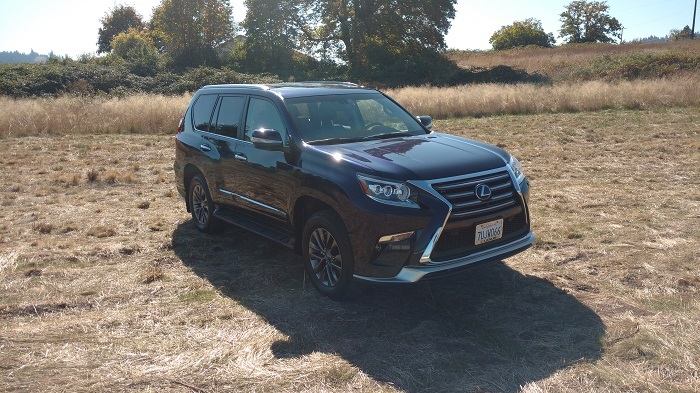 A little more horsepower and torque please: Unfortunately, at times, Lexus GX ‘feels’ a bit heavy in acceleration and handling. While the 4.6L V8 is capable, it’s been detuned in a quest for greater fuel efficiency. In its present form, this rather good 32 valve V8 produces a rather meek 301 horsepower, and 329 lb-ft torque. Because it’s not turbocharged, maximum torque comes on at 3500 RPM, great for passing, but how about the rest of the time? I’ll forgive Lexus GX for being a bit understated off the traffic light. 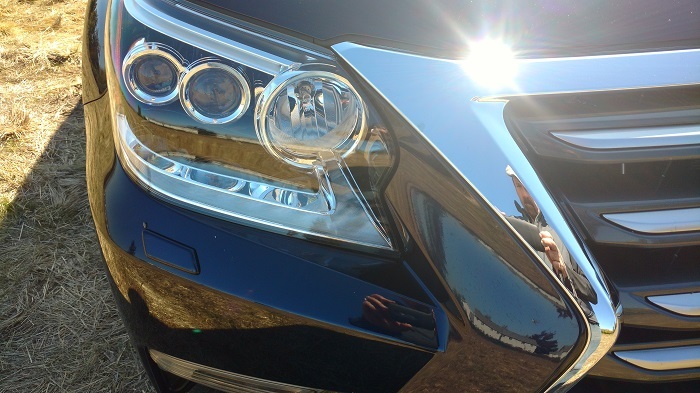 After all, luxury performance has many measures, and Lexus GX impresses at most turns. I recommend a Lexus GX test drive to those discriminating few looking for the ultimate soft-touch full-size 3-row SUV. When compared to the competition, Lexus GX presents a design language unique unto itself. Lexus fans need to look no further. I own a 2017 RX, but would to get a Lexus to replace my Armada for towing. That said I feel the GX is a dinosaur in the SUV market and hope Lexus comes out a new GX model and platform that still has a V8 but not BOF platform. Also something with a little width so it doesn't look like a 4Runner in a tux would be great. Here is to hoping!! Sorry this comment is on a year old post, but I just saw it....as I just bought a ‘17 GX 460. As a loyal 4Runner owner for the last 15 years, I couldn’t love this ‘4Runner in a Tux’ more! I know your comment was meant to be disparaging...but I took it as a complement. Believe it or not, there are still those of us who love an ‘old school’ body-on-frame design. We don’t WANT a car-like ride (I keep my suspension in sport at all times) like unibody crossovers have. We want a true 4-wheel drive system with locking differentials and a 4-wheel low gear for the times we get stuck in the mud or snow. What?!? Getting my Lexus stuck in the mud? How unrefined of me! I must’ve made a wrong turn. Mayday! Mayday! Uh no. There are those of us outdoor-lovers (albeit not many) that want to go off-road and/or in deep snow, but still enjoy some fancy features and a bangin’ sound system. The KDSS, CRAWL, full-time 4WD, and X-Reas suspension are all features on different 4Runners, but you can’t get them all on 1 single model like you can with the GX. The GX certainly isn’t for everyone, but it’s definitely for me. And if I ever change my mind, I know that there’s always a plethora of nice rounded unibody crossovers to choose from. As a Land cruiser owner for 17 years, I took a chance on the GX 460. I'm loving the ride and a bit better gas mileage. Can't wait to take her off road. Didn't think I could love a vehicle more than my Cruiser, which I still have, but so far very impressed with the 2017 Lexus GX460! Lexus... don't ruin the GX in years ahead... model has a strong following.. some just don't understand. Welcome HJ. What changes would you like to see for GX in the near future? The GX body on frame is a good thing. It is what makes a good truck/suv vs a wanna be show off suv that never makes it off road. Keep the V8 and potentially add a diesel version V6. I would love to see more boxy macho styling, not sharp edges like a birds beak. Leave the extra curves to copy cats like Hiyndays and Kias. I live my sport 2017 GX460 it did cost 70G with Tax but man it does drive great I not a fast driver I tend to cruz it work great for me and my family and yes I do live in HOuston Texas and there many of these out there over here!